This is an interesting view of the Cemetery on the Plain taken about 1910. It took me a minute to place it. 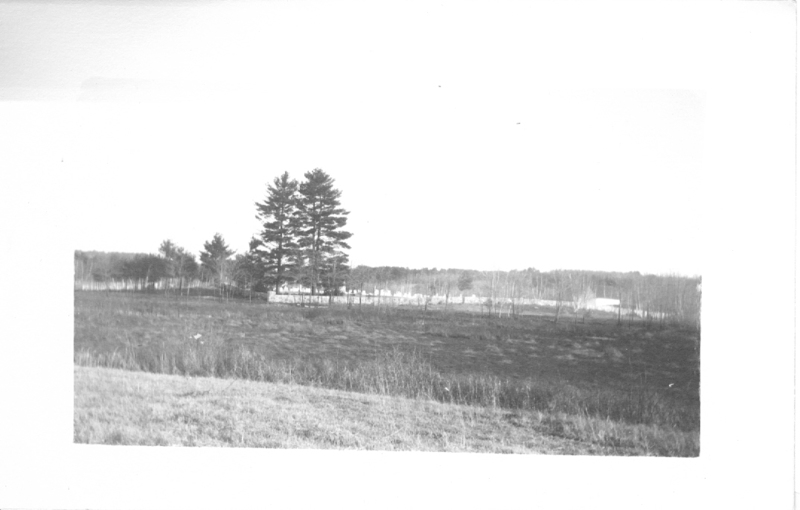 The photograph was taken from Lowell Road, near where Wayne Holm lives today. What is so amazing is the lack of trees. Collins Brook marsh is in the foreground and Garaphelia Park is to the right in front of the stone wall. It’s an interesting site for a cemetery but was most probably chosen because the sandy soil allowed for easy digging of the graves.